1992 was a special year for the West Coast Eagles. Not only did their come-from-behind Premiership mark the first time the cup was won by a non-Victorian team, it more importantly marked the Eagles' inaugural Premiership triumph. Success would remain ingrained, with the Eagles again achieving the games ultimate glory just two years later. Fast-forward just over a decade to 2006, and the Eagles would find themselves in an epic battle with rivals Sydney, whom had trumped them in the year previous. 06' would tell a different tale, with the Eagles winning a thriller by the narrowest or margins, delivering unbridled joy to West Coast fans everywhere. 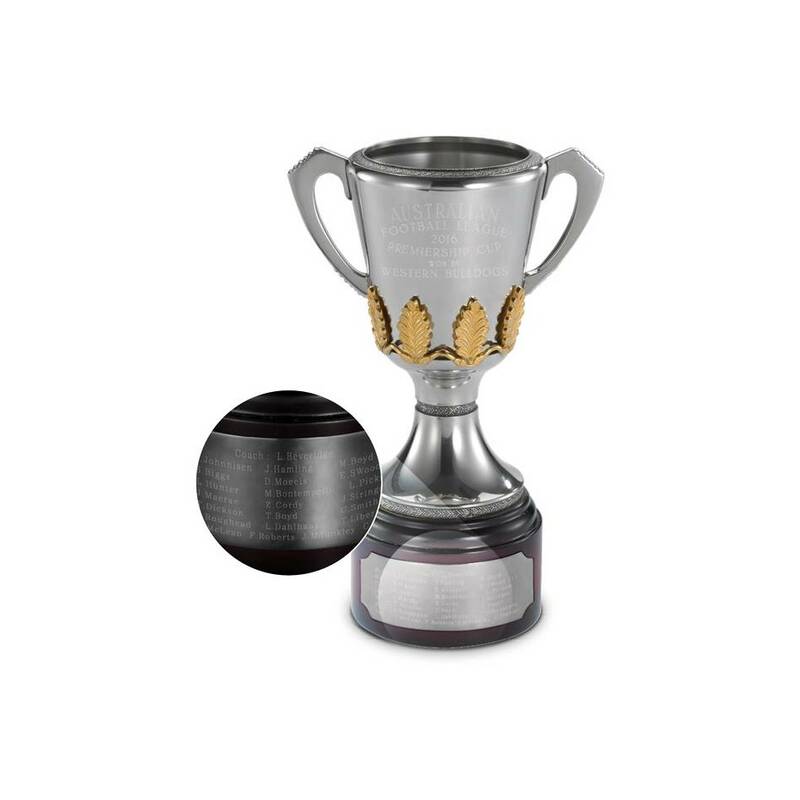 Commemorate the West Coast Eagles's Premiership triumphs with a collectable pewter replica of unrivalled heritage and splendour. Each handcrafted Cup is composed predominantly of refined tin, with small proportions of antimony and copper added for strength and durability.